There are so many ways to enjoy Arizona. You can hike, bike, climb or just stroll around. But if you want to see the essential West, you must do it on a horse. I don't own a horse, but I love a good trail ride. 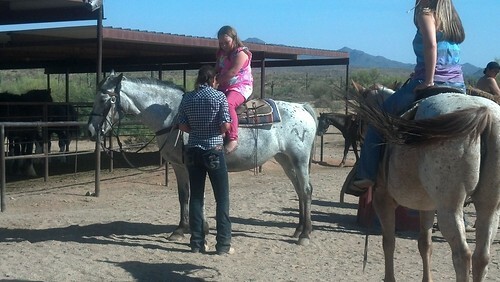 Last weekend I ventured out with my favorite cowpoke (Mackenzie) to Fort McDowell Adventures for a 90 minute trail ride. It was hot, it was dusty, but boy, we had a good time! 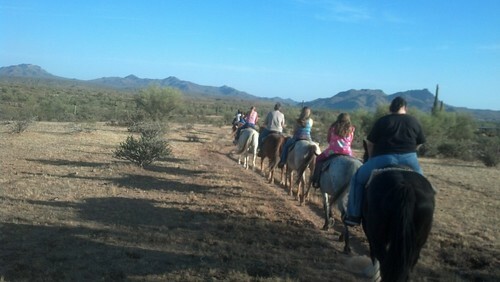 Fort McDowell Adventures is located on the Fort McDowell/Yavapai Indian Reservation just outside of Fountain Hills, Arizona. 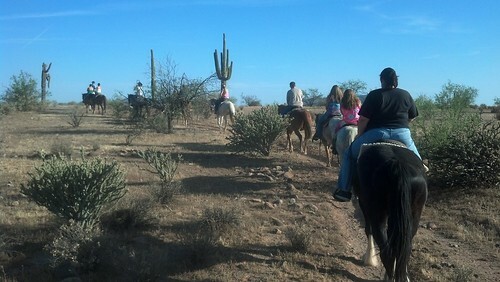 It's a little more than 40 miles outside of downtown Phoenix, but it is the middle of the Sonoran Desert. Mackenzie was traveling with "Sugar" and I enjoyed my ride with "Max," who was a little naughty sauntering along, eating whenever he found anything remotely green. We saw some awesome things in the unspoiled desert, mostly courtesy of the guide's two Australian cattle dogs. They found free range cattle and wild mustangs and barked wildly at both. We found the nest of a bald eagle (without the dogs), towering in a tall tree near the Verde River. Ahhh, the Verde. Water is scarce in the desert and rivers even more so. 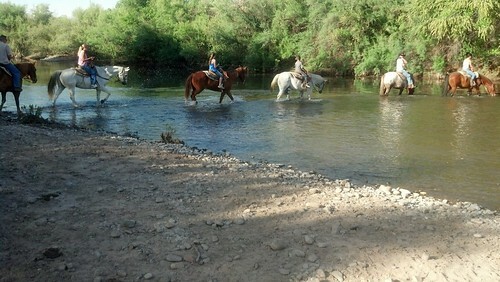 The Verde River is one of the few exceptions of a "wet" river, at least the part of it that runs through the Fort McDowell Reservation. The riverbanks of the Verde provided a stark contrast to the dry desert we just rode through. Green, with lush trees and evidence of beavers amid the river rocks. 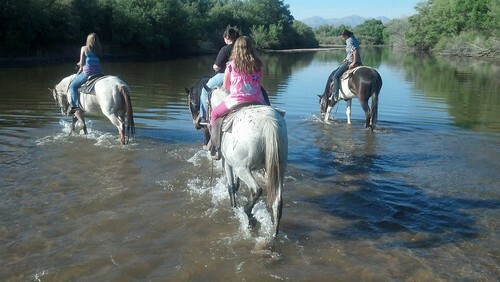 I don't think I've ever crossed a river (twice) on a horse. Very cool. Mackenzie LOVED it. She would go everyday if she could. Me, I dismounted the horse and walked slowly like Popeye the Sailor Man back to the car. I was lucky that the "bow-legged sailor" didn't stick around too long. 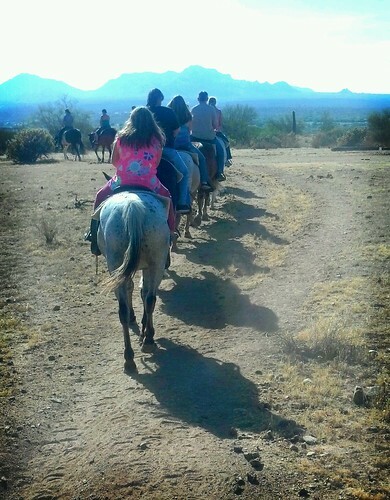 I was dusty, sore and smelly, but gosh, I had an awesome time and saw the desert the way it was meant to be seen - from a horse. A friend of mine who was in the Air Force always responded the same way on Memorial Day whenever someone thanked him for his service: "It's not my day. My day is Veteran's Day. Memorial Day is for those who made the ultimate sacrifice." That was years ago and it has always stuck with me. 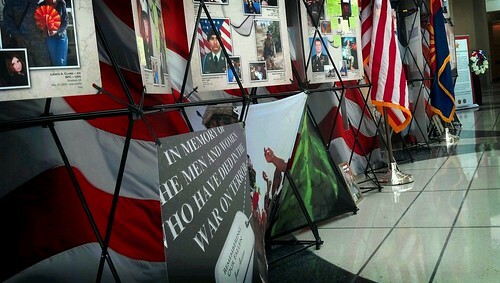 Last week in Phoenix City Hall, I saw those men and women from Arizona who gave the ultimate sacrifice. We've seen the news and heard the numbers. We found out what city they were from and who they left behind. This exhibit was more - we saw faces. 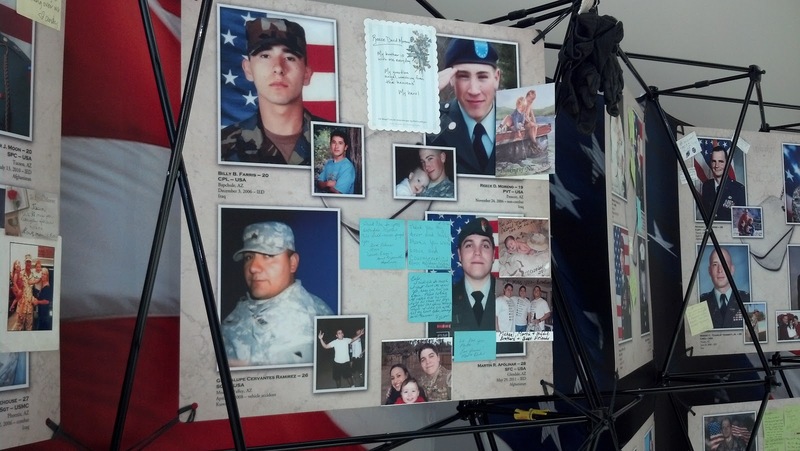 We saw personal photographs and little sticky notes from friends and family. It was personal. These are the heroes. These are the people we remember today. God bless them. Wow. My kids and I just finished watching the first season of "Heroes." This is one cool TV show from 6 years ago. I can't remember being so interested in a television show and being able to sit down and watch it with my kids. We can't wait to start Season Two. Who says there's nothing good on TV? I've always been a TV watcher. As a kid it was "Brady Bunch," "Mork & Mindy" and Scooby Doo. By the time I was a teenager, MTV was integrating radio and television. Cable arrived with 300 channels and nothing on. With each new show, genre or innovation to content, the mode was the same. You waited until the time and day the program was scheduled and sat through all of it, including the commercials. Then came the VCR. VCRs were awesome at first, but sometimes it was tough to schedule the VCR to turn on at the right time. It really stunk when you missed that Dallas cliff hanger because you ran out of tape. Ack! I can't imagine how many family feuds erupted when one family member inadvertently taped over the other family member's favorite show. Good luck trying to fast forward through those commercials. Meanwhile, programming started to change, and not always for the better. Cable was mediocre unless you were paying a premium for HBO. There were still some great dramas - "LA Law" and "ER"- and classic comedies like "Seinfeld" and "Friends." The problem wasn't so much that the content wasn't good, but it was becoming hard to know when to watch. The networks were constantly shifting days and times for shows and even then there was only about half the number of episodes in a season. DVRs were a welcome addition to compensate for the inconsistency in the television scene. Finally, a way to schedule recordings without tapes and the ability to record more than one show at once! You still had to fast forward through commercials, but it was certainly an improvement. 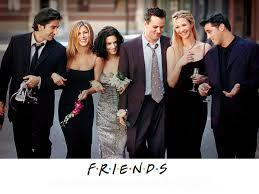 Problem was, you still had to deal with those unpredictable and short TV seasons. Now there are services like Netflix and Hulu. Finally, you can watch TV on demand! I'm loving this. I especially like how you can take older shows and watch their entire run on your schedule. 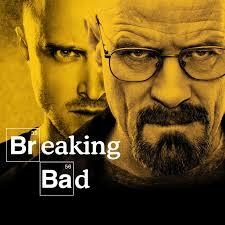 In addition to "Heroes," we never would have seen "The Office," "Breaking Bad or "The Tudors" without Netflix. No commercials to fast forward through makes it easier to watch more content in less time. I'm looking forward to discovering television I missed the first time. Right now, though, I'm just happy to see "save the cheerleader, save the world." There's been a lot of intermittent cricket sounds here at "Straddling the Gap." I guess you could say I'm having some "blogger's block." As I approach the second anniversary of this blog in June, I'm floundering around for focus. I think it started during Lent when I gave up blogging for forty days. I thought it was going to be so difficult and at first, it was. However, by Easter I was enjoying a bit of freedom of not having to think about what I should write about next. It's too bad, because right before Lent I think I was somewhat on a roll. Then came Bloggy Boot Camp right after Easter. 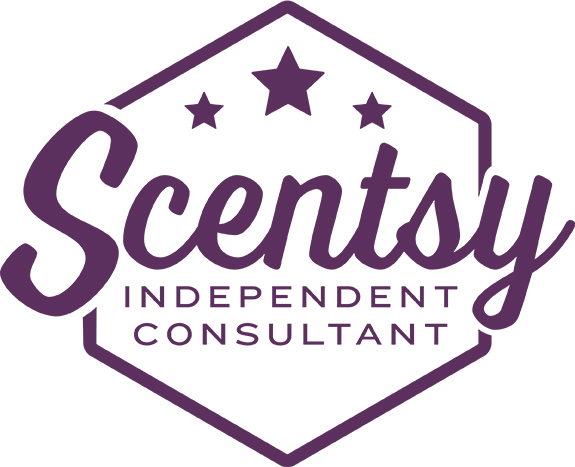 It was intimidating, and very obvious to me that the other bloggers there had a more business perspective for their blogs. I wasn't sure I was ready to go there. In hindsight, I don't think I ever want to go there. I have a career and I don't want this to be work. Unfortunately, there was so much information overload, I think it really clogged up my writing. Don't get me wrong - there were so many good ideas and wonderful people, it was interesting content at an inopportune time. One thing I heard several times at BBC was the importance of planning posts. I think that would be very helpful for me, especially if I could find a general theme for each day. At the same time, I don't want this to be a cookie cutter format. 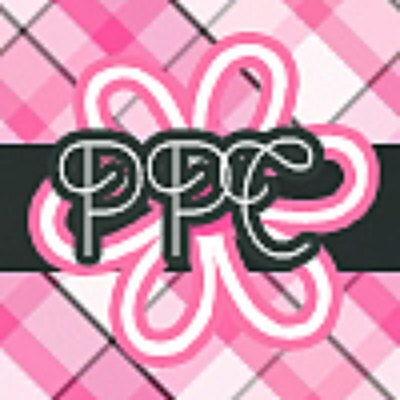 I don't want to be looking over my shoulder for the craft/recipe/Pinterest/Etsy/mommy blog that has already covered the topic. So if you hear crickets (if a cricket is chirping in the forest and no one hears it, did it chirp?) for a little while, don't be surprised. I'll get my act together and forge ahead. What is the going rate for a molar these days? How about a regular tooth? If the tooth loser doesn't put the teeth under the pillow, is the Tooth Fairy obligated for "back pay"? I have been pondering these deep philosophical questions all evening. I finally did some research with CBS Moneywatch which reported that as of April 2010, the going rate in Manhattan and New Jersey was $5.00 for the first tooth and then $3.00 after that. In the boonies, the rates are more like $1.00. My son is currently at a standstill with tooth loss at 12 years old. It's not that he has all of his permanent teeth, it's because he hasn't lost any molars other than the ones that were pulled for braces. 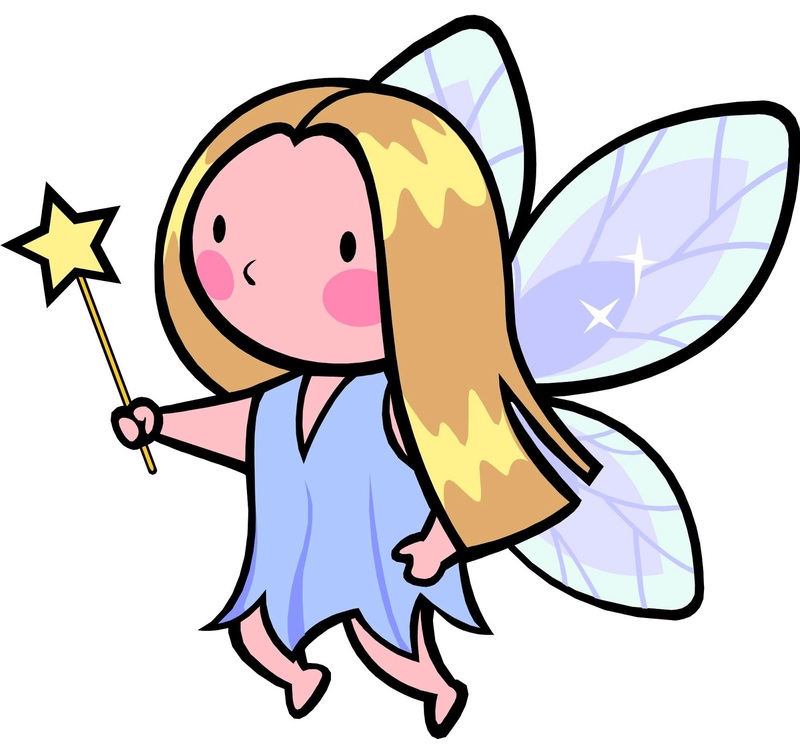 On the other hand, there is a run on the Tooth Fairy based on my 10 year old daughter's teeth just popping out, including two molars in the last two week. She hardly thinks about the Tooth Fairy anymore. I'm not sure whether she gave up after the Tooth Fairy inadvertently left a tooth under the pillow for a day (or two), or whether the Tooth Fairy just doesn't pay enough to make it worth her while. 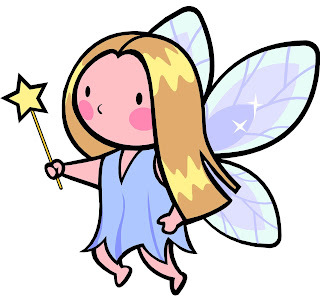 When I was a kid, the Tooth Fairy paid a standard rate of $0.25 per tooth. This was an outrageous inflationary rate according to my older siblings, who were lucky to get $0.10. Cry me a river - gas was $0.32 then too. Now my kids are not impressed with anything less than $1.00. Personally, I think the Tooth Fairy's payout is based on her liquidity at the time the tooth is under the pillow. Tonight I have it on good authority that the Tooth Fairy is feeling both guilty and neglectful for teeth that were left under the pillow or not even offered for her purchase. Based on that, I think a molar will fetch $5.00 in hard currency (but not gold or silver) this evening. Lucky for the Tooth Fairy that this kid sleeps so soundly she could use a jack to raise up the pillow, take the tooth and leave $5.00 in singles without interrupting a single snore. That Tooth Fairy really has a cushy assignment in our house.